The Extra Sony BP-U60 Lithium-Ion Battery is designed for professional video shooting. This battery is designed to communicate battery capacity with a built in button, which when depressed relays a series of blinking lights to show how much power remains. It uses the same charger (not included) as the BP-U30. 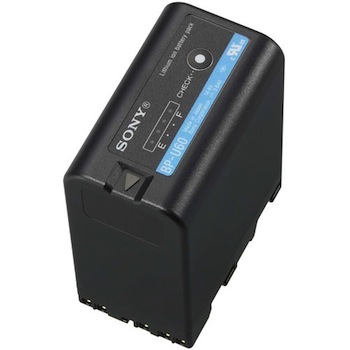 • This battery is compatible with the Sony EX3 Camcorder, Sony F3L, Sony FS7, and Sony FS7 II cameras. A spare charger is not included.